Annapolis, MD; September 11, 2017–A much greater number of monarch butterflies perished in a snowstorm in March 2016 in Mexico than previously estimated, according to new research. Analysis of damage from the storm–and the ensuing salvage logging–sheds further light on the precarious state of the famed butterflies' overwintering colonies. Brower and colleagues counted dead butterflies in random plots within the colonies to estimate the total mortality rate from the storm: 31 percent in the Sierra Chincua colony and 38 percent in the Cerro Pelón colony. The true impact may still have been greater, however, as the researchers' analysis of weather data from stations within and surrounding the Monarch Butterfly Biosphere Reserve, measured against existing research on monarch butterfly mortality in freezing temperatures, "support the conclusion that the March 2016 storm mortality … was substantially greater than 40 percent," the researchers report. 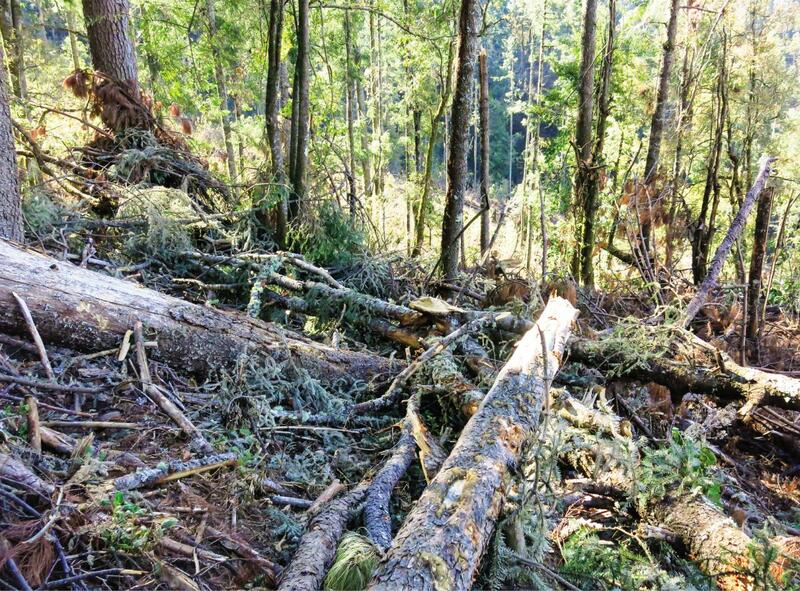 Following the storm, the Mexican government permitted salvage logging to remove downed trees, due to concerns over potential fire or insect damage. Brower and colleagues argue, however, that the logging process was "profoundly disturbing and detrimental to the environment," decreasing the forest's ability to return to maturity and provide safe haven for the butterflies. A volume of 60,000 cubic meters of timber was approved for removal–equivalent to several thousand trees–which follows an incident of illegal logging occurring in the monarch reserve in 2015, reported in American Entomologist last year.